Disney is to launch a social networking website designed especially for pre-teens. The MySpace -style web 2.0 site will be tailored for kids, with beefy security to keep them all safe. 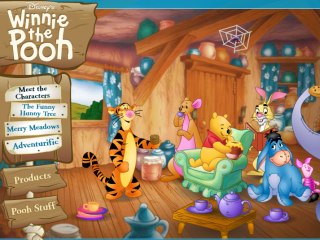 As with many adult social networking sites, users of Disney XD will be able to select video clips and games as well as music, pictures and other content to display on their front page. Pages can be decorated with a large variety of Disney characters and design patterns. "I want tons of kids immersed in my brands and franchises. What better marketer do I have than a kid?" said Paul Yanover, executive vice president at Disney Online. "It's really about building a kid community ... [that] extends beyond individual Disney products, websites and titles." "There is a weaving together of entertainment and promotion and marketing," he added. "It's difficult to say where one ends and the other begins." The new site is likely to benefit children, parents and Disney itself. While Disney keeps its audience captivated, kids get to have some safe fun online and parents can be happy that their children are surfing safely and risk-free. The site is currently in beta and only available to people within the United States. This will change when the site moves out of its testing phase and into a full launch.